In case you've not heard of him, Art Pepper was an American jazz saxophone player, born in 1925, died in 1982. His earliest known recording is 1943, his final recording in 1982. Most of his career was spent solo with a quartet, though his early days he was typically part of a big band, including Benny Carter's and Stan Kenton's. Art spent most of the 1960's through the first half of the 1970's in jail on multiple drug raps. Yet he produced a huge catalog of recordings throughout his lifetime. His autobiography Straight Life (558 pages) is available on Da Capo Press -- I found it to be an interesting read just as a jazz Bio. regardless of it being about a musician whose music I dearly love. I'm just another jazz fan, don't even play an instrument. 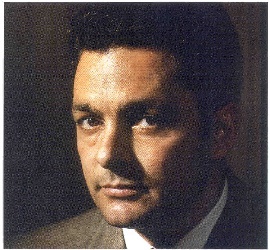 But I adore the music of Art Pepper, and am doing my best to collect all his recordings. It's a lifetime project. As I go, I'll be documenting them on this website. This is exceedingly difficult as much of his earlier material has been repackaged and re-released many times; I've several times now bought a CD of his music just to find that I already have all the recordings contained on it, but on different disks. This website is mostly intended to help you avoid this issue (repurchasing the same disks with different covers, or getting different collections which contain solely recordings that you already have). It is based on the official Sessionography of Art Pepper 1994 © Todd Selbert (published in Straight Life). Remember that there are no gaurantees on accuracy of information -- I have no inside edge. I just buy CDs then scan covers and type in the info when I get a few minutes of free time. Art's widow, Laurie, was on National Public Radio (NPR) All Things Considered on 20-Nov-2007. She is making a movie about Art's life, and is releasing it in pieces at YouTube. Story here.